As one of the top luxury brands on the market, Lexus vehicles are known for being one of the best driving experiences on the market. If you need to care for your Lexus to keep it in top shape, call or stop by Mastertech in Oceanside today. We have some of the most talented A.S.E. Certified Technicians in the business, and we have been pleasing Lexus customers for years. 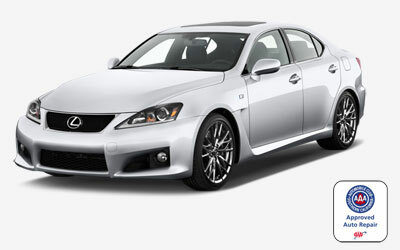 If you have invested in a Lexus, you no doubt want to keep it on the road as long as possible. After all, what good is a luxury vehicle if it is stuck in the shop? We will get you back on the road as soon as we can. By bringing us your Lexus on a regular schedule, you can stay ahead of any big problems and save money in the long run. To prove we are confident in our team, all work is backed with a warranty. Great repair and service work is nice, but at Mastertech that isn’t good enough for us. We also offer impressive customer service that will make you forget you are at an auto shop. We offer up front price quotes, pick up and drop off service, and we are always happy to answer questions. Making you a customer for life is our only goal, so we will treat you like the valued patron that you are. Any Lexus model is welcome in our shop, including the IS, ES, GS, LS, RX, GX, LX, CT Hybrid, RX Hybrid, ES Hybrid, IS C, IS F, and more. We look forward to working with you on your valued Lexus vehicle.